Lux Rides is offering it's luxury transportation service at the unprecedented rate of $39 per hour for the Summer (3 hour minimum & 100 mile max, gratuity not included). Perfect for your night on the town, concerts, special occasion or just going out to dinner with friends. Our luxury SUVs can accommodate up to 6 passengers. Adult beverages will be provided as well. 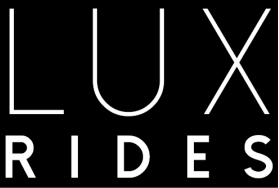 Fill out the form below to schedule your Lux Ride now.